Crested ducks have a wonderful regal air about them. There are reasonably good layers but mostly kept for pets. 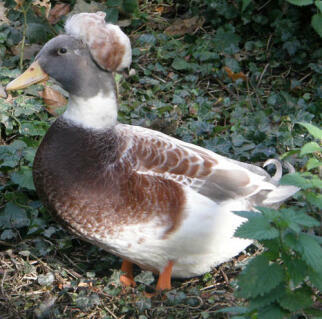 Crested ducks have been around for a long time and feature in art dating back over 2,000 years. You can tell the quality of the crest from the moment they have hatched. If you are breeding these birds then avoid ones with off centre crests as this is a defect which is very difficult to breed out. The crest is actually a dominant mutation and typically you have around a million to one chance any breed of Mallard duck will hatch with a crest. 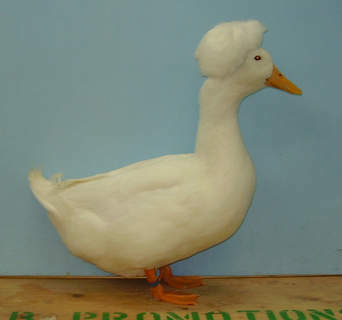 The crested gene can actually be bred into any breed except Muscovy. The gene which produces the crest has the side-effect of preventing about 25% of the fertile eggs from hatching. An additional 25% do not hatch with the crest. 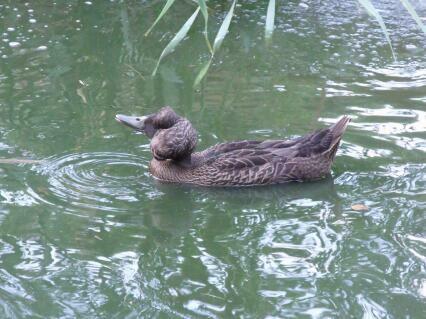 They are fairly quiet birds, with the female only making a noise when she wants attention. 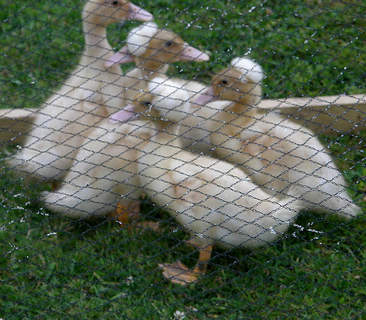 There are two officially recognized varieties, White and Black, although you can find ducks with crest in most colours. It has been years since I was around these ducks. We did not seem to have trouble with eggs not hatching. They did cross with our runner ducks and we had a lot of runner build ducks with the crest. We really enjoyed them.